Once your company starts growing, your workload will increase and your business will become much more profitable in every way possible. Unfortunately, there’s only so much you can expand in within a single market and, eventually, you will have to think about migrating to a foreign region. Apart from requiring some serious structural changes, this also means that you will have to reinvent your digital marketing strategy. Here are several tips that can help you make this transition much smoother and much more efficient. 1. Can Your Product Actually Travel? The first thing you need to consider when you decide to present your product on different markets is whether this product is travel-able in the first place. If not, you will probably have to manufacture it on- spot, which gives you the opportunity to market it as a locally produced product. To make the most out of this trend, you can even resort to some of the traditional advertising methods like advertising in local newspapers. Now, depending on the nature of the local market, this could be a great idea, yet, sometimes it is better to present a unified front in order to uniform your marketing efforts. Either way, this is something that has to be resolved as soon as possible. Every business hub has its own peculiarities, its own rules of the game, which is why you might want to think about finding some local aid. Apart from general guidelines for doing business in different regions, there are so many unspoken rules that people fail to warn you about simply because it never crossed their mind. To them, people who are doing business in that particular culture for decades, it’s so obvious that it isn’t even worth mentioning. For this reason alone, it might be for the best to outsource at least some aspects of your digital marketing to a local agency. For instance, people deciding to try their luck in Hong Kong might want to look for a search engine optimization company based in Hong Kong, instead of trying to handle this in-house. Another thing you need to understand is that you can’t just copy-paste your global strategy to absolutely every region. For instance, some of your campaign slogans may only make sense in your current location, which would render them utterly ineffective in any other region you decide to reach out to. Aside from this, norms of decency and good taste differ from one region to another. Needless to say, the last thing you want to do is send the wrong message; this can doom your brand from the very start. Also keep in mind that different technologies and mobile applications aren't as popular or available in different countries, like several social media platforms in China or Russia for example. You'll have to modify your marketing approach if you're expanding into a market that uses different software or websites. In a hyper-connected world, a lot of people see overseas trips as redundant, even excessive; however, they fail to see the bigger picture. A Skype conference call or a collaboration through a digital platform can never truly replace a face-to-face meeting. Therefore, it is always a good idea to use any chance you get in order to go to your new market and meet in person with your partners, investors and clients. An exhibit that you’re hosting or a corporate event is a perfect opportunity to see them all in one place. Sure, this requires some extra resources, yet, it gives you a more pragmatic approach to the situation. Earlier on, we talked about advertising your products as if they were local, yet in order to do so, you need to do more than start a local manufacturing company or an overseas office. First of all, you need to research the local market and the local culture. For instance, in China, color red symbolizes luck, whereas, in the western hemisphere, green is considered to be the lucky color. This alone may seem like a minor detail, yet, there are so many these subtle differences and ignoring them might send the wrong message to your target audience. Therefore, this is something you might want to apply to everything from your product package to your local website. Finally, showing respect is one of your core responsibilities and it starts with your showcasing of appreciation for the culture of your current host. The easiest way to demonstrate this in your marketing efforts is to create a website version with a local extension and in the local language. Nonetheless, this is mostly symbolic and if you really want to make the difference, you need to ensure that your brand has a customer support in a local language. Fortunately, in 2018, this can be done with a reliable chatbot system, which can help you avoid any further outsourcing. For those who are financially capable of pulling this off, however, outsourcing customer service might still be a better move. With these six tips in mind, you will find your digital marketing strategy to be much more consistent and much easier to pull off. Above all, as you could see from the above-listed, by sticking to these unwritten rules, you are minimizing the chance of making a PR blunder during your entry to the unfamiliar market. This risk control alone is more than worth all the effort. 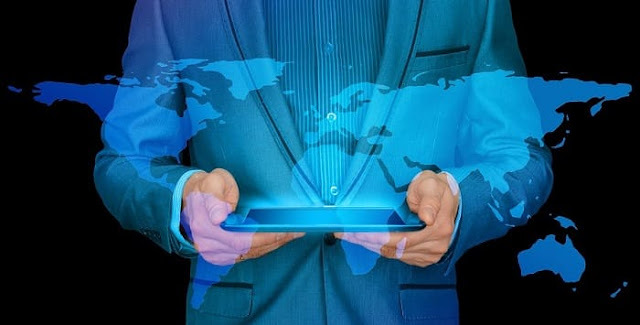 I hope you enjoyed this article about methods of modifying your digital marketing tactics for new foreign market expansion.